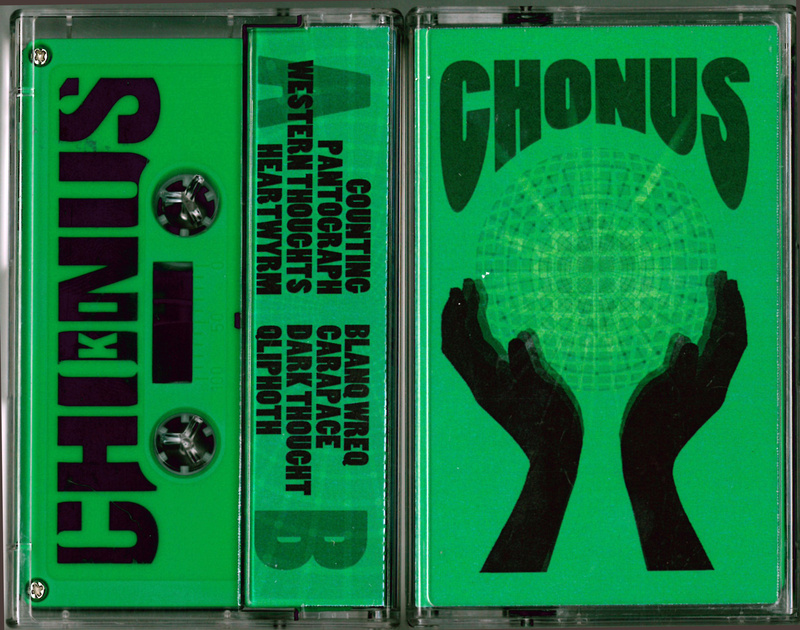 Chonus is the solo electronic project of one Anthony Gedrich (perhaps better known for his contributions to such stellar acts as Extra Life, Ocrilim, and IconChasm). Here, he builds from the ground up: dark, growling bass waves undulate beneath gut-punching beats and glimmering, molasses-thick synth leads, drawing sounds from disco and drone and mutating them into ferocious electro-fugue-pop. From the crushing dirge of "Western Thoughts" (stream below) to the Wierd-meets-NNF synthwave of "Blanq Wreq" KI covers a lot of ground sonically; spiritually, it remains comfortably situated between gloom and pop, drone and dance, joy and sorrow, each part perfectly balanced with its opposite. Sez TinyMixTapes, "There’s faith here between Gedrich and the listener. It’s egoless in artistic pursuit, while enticing the audience to 'let loose' their soul and submit themselves to channel all their emotions through movement." Click TMT to preview Blanq Wreq!